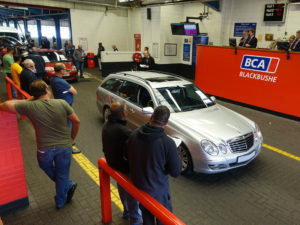 Average used car values at BCA reached a record value for the fourth month running in December. while fleet and lease sector values remained at near record levels. Latest Pulse data shows December’s figure of £10,604 in the fleet and lease sector represented a small decline (0.3%/£39) against November but was up by £939 (9.7%) year-on-year, as both average age and mileage continued to reduce. Retained value against original MRP (Manufacturers Retail Price) was 41.85% in December. Overall average used car values improved by £465 during December, with the headline figure climbing to £9,868 – a record value for the fourth month running. Year-on-year, the headline figure was up by £1,527 equivalent to a 18.3% improvement.